Does Homeowners Insurance Cover Bat Removal is a question we are often asked. According to the Insurance Information Institute, most bat infestations (and the damages accompanying them), are “maintenance issues” and not covered by insurance. The insurers feel it is the duty of the owner of the property to prevent the infestation or eradicate it long before any damage is done. In most cases, the property owner is left to pay for any damages. There are exceptions, most insurance companies will pay for removing and disposing of bat guano. They will generally pay for damage caused by bat poop and urine that has damaged insulation. Bat droppings can be hazardous and should only be removed by trained professionals. The feces of bats can contain history spores which may lead to a dangerous lung illness called histoplasmosis. So in answer to your question, does home owners insurance cover bat removal? It depends on your particular policy and insurance company. Many insurance companies consider bats to be vermin which they are not. Vermin is generally defined as pests or nuisance animals, that spread diseases or destroy crops or livestock. In our opinion bats don’t fit this definition and therefore should be covered. It is best to review your insurance policy before contacting your insurance company. That said, there are several options and situations that may provide significant financial relief if you are facing an expensive project – or at least save you money in the long run. Most importantly, when hiring a bat removal company keep in mind that cheaper is not always better and you often get what you pay for. All bat removal companies are not created equal. Many lack the proper training, experience and equipment to keep you and your family safe during the bat remediation process. If your insurance does not pay for bat removal consider asking the company you hire if they offer a payment plan. You’ll be surprised to find that many companies will go out of their way to work with you, particularly if your job is more expensive than the norm. As with all wildlife removal services, bat removal and clean up of their mess should be left to professionals. You should also make sure that the company seals all bat entry points to prevent reentry of the bats. 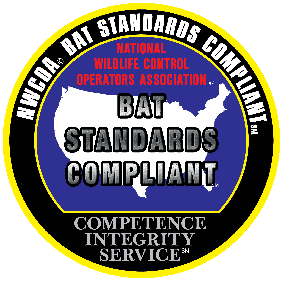 All bat removal companies are not created equal and you should never allow pest control professionals to attempt bat removal – their area of expertise is insects not bats. Considering reading our information at How To Get Rid Of Bats.